Written by Kelli Hicks, Project Manager, who works for BBJ Group's Compliance Practice in our Chicago, IL office. In April 2017, the much-anticipated “Commingled Plume Technical Guidance Document” (Commingled Plume Guidance) was released by the New Jersey Department of Environmental Protection (NJDEP). As one of the first of its kind, this Guidance specifically addresses technical and administrative approaches for commingled plumes that will be helpful to property owners and investigators around the country. A commingled plume, or mixed plume, is when contaminants from two or more distinct discharges mix in the underlying groundwater. These commingled plumes are often more difficult and complicated to clean up than single plumes. Example 1: Neighboring gas stations both had fuel spills and the underlying groundwater is contaminated with gasoline from both facilities. Example 2: A neighboring gas station and dry cleaner each had releases and the underlying groundwater is contaminated with both dry cleaning solvents and gasoline. The sources can be spatially distinct (i.e. originated from different locations) or temporally distinct (i.e. occurred at different times). Why is cleaning up commingled plumes difficult? Every commingled plume is unique and presents its own challenges for cleanup. If the commingled plume has multiple contributors, also known as potential responsible parties (PRPs), it can be hard to determine the limits of each individual plume. This can make choosing a remedial strategy and allocating each PRPs “fair share” of the cleanup difficult. In Example 1 above, the contaminants are similar and so the challenge for the investigator is delineating the individual plumes in order to assign responsibility between the PRPs. In Example 2 above, the contaminants are different, so it will likely be easier for investigators to separate the individual contributing plumes; however, the PRPs may need to work cooperatively when designing remedial strategies so as not to hinder the cleanup of one or more of the differing contaminants. The Commingled Plume Guidance uses a dual technical and administrative approach to help investigators. Environmental forensics, such as Fingerprinting, PIANO analysis, degradation and trace compounds, biomarker analysis, etc. A helpful checklist is included in the Guidance for the investigator that identifies the information or potential lines of evidence that could be collected to assist with plume delineation and source identification. 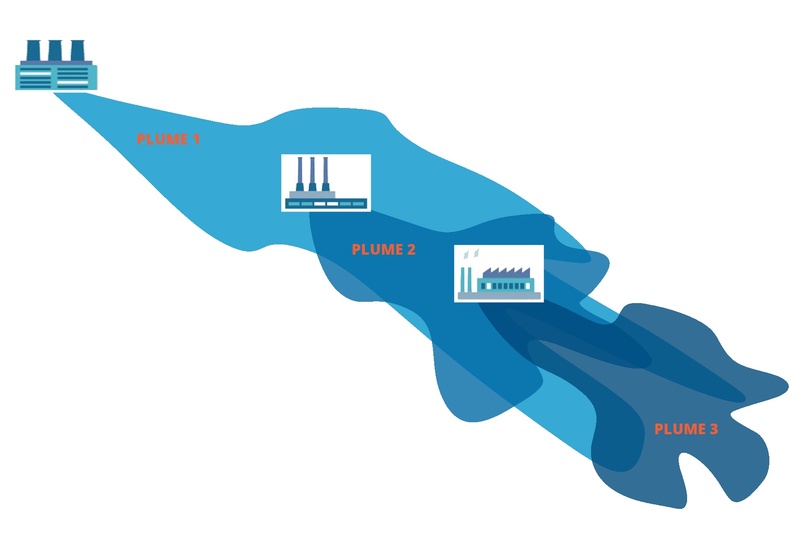 The Commingled Plume Guidance provides advice on working with other PRPs, including benefits and challenges of working cooperatively to clean up the commingled plume, options for dealing with uncooperative PRPs, and potential resolution mechanisms. The Commingled Plume Guidance can be downloaded from the NJDEP website or by clicking below.